This portal has been established by Entrepreneur Envoys, for Entrepreneur Envoys as a Social Enterprise that supports a global change by turning Ideas into Action, promoting sustainability and celebrating success. How many of these Ideas and Actions could solve the planet’s problems? There is a desire to bring as many as possible of the potential 7 billion ideas to fruition through the promotion of Entrepreneurship and our member community. Through the promotion of entrepreneurship on a global scale, the number of entrepreneurs in the world will increase, supporting the pro-active policies of governments in creating sustainability through wealth creation, jobs and valuing human capital – whilst eradicating poverty, suffering and inequalities. Our Brand ‘Entrepreneurial Feet’ is representative of the first steps of change. Our footprint carries the words which are essential to sustainable entrepreneurship, growth and development. Sustainability is represented through the green and blue in our Entrepreneur Envoy. The role of an Envoy is to lead and support others making the necessary changes and this is represented by the smaller foot sheltering alongside its larger mentor. Entrepreneurs are ’doers’, often taking the first steps without considering the risks! 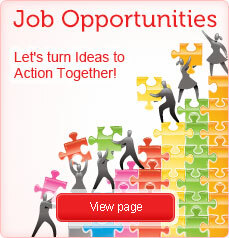 They turn an Idea into Action! To promote this ethos we have created a “Badge” which members can put on their websites and their emails to identify their commitment to others. This portal is for anyone that has an idea and a roadmap of how to turn that Idea into Action – for you are true entrepreneurs. You don’t have to be in business, you don’t have to know all the answers, you don’t even have to know your route to market for this portal to be an invaluable resource to you, and for you to be an invaluable resource to other entrepreneurs. This portal recognises entrepreneurship in all its guises and will break away from the pre-defined stereotypes. The Envoys are individuals and organisations who want to contribute to cultural change; want to address the failings of policy; and, promote proactive approaches with concrete proposals. They are committed to promoting entrepreneurship wherever appropriate. Entrepreneurs – in business or community – are known to be one of the hardest target markets to reach and the portal aims to support policy makers in accessing the honest answers from real entrepreneurs, so that meaningful solutions can be delivered. 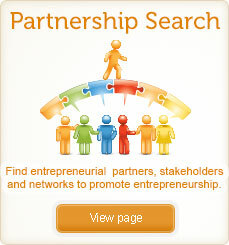 The purpose of the portal is not only to give the entrepreneur the ability to use their entrepreneurial mind-set to ‘make every day their masterpiece’ but to support others to overcome challenges and identify opportunities, whilst at the same time supporting policy makers to review their practices to also create a more enabling environment. The portal idea came from a series of events and the ambitions of several entrepreneurs who put this idea into action. The European Commission, particularly the Directorate General for Enterprise, alongside its partners, the European Parliament and Member States, have for many years promoted Entrepreneurship as a key tool to growth. This has been challenging and not achieved to a level of satisfaction, particularly in female or youth entrepreneurship. Against other regions of the world Europe’s percentage of entrepreneurs is low. Stakeholders such as the European Economic and Social Committee, European Parliament, Committee of the Regions and numerous business organisations have supported the proactive approach of the Commission by working together in promoting projects and policies. Unfortunately, progress has been slow. In 2009, The Employers Group of the European Economic and Social Committee in conjunction with the Commission www.eesc.europa.eu/employers-group) and its business organisation partners, trade unions and representatives of civil society groups, held the inaugural Young European Entrepreneurs Seminar in Brussels. The seminar concluded with a series of recommendations on how to better promote and support entrepreneurship across Europe. The primary conclusion was that everyone could play a part in supporting a culture change by acting as role models. This was seen as a practical means to encourage people to cooperate more efficiently in promoting entrepreneurship in their communities, organisations and at a political level. 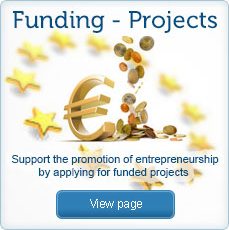 In 2010 the EESC commissioned an opinion on Entrepreneurship as a mechanism to exit the financial crisis. The report looked at valuing human capital using all the dimensions of entrepreneurship to stimulate the economy. Ms Sandra Meigl produced a small film to represent the opinion which is on the home page and provides the sentiment for the theory behind Entrepreneur Envoy. Florin Jianu, Proposer of Young European Entrepreneur Ambassadors at the EESC stated: “If you are looking to see what you can take from this portal, it may not be for you. But if you are looking to see what you can contribute to sustainable entrepreneurship, then we value your contribution however small”.